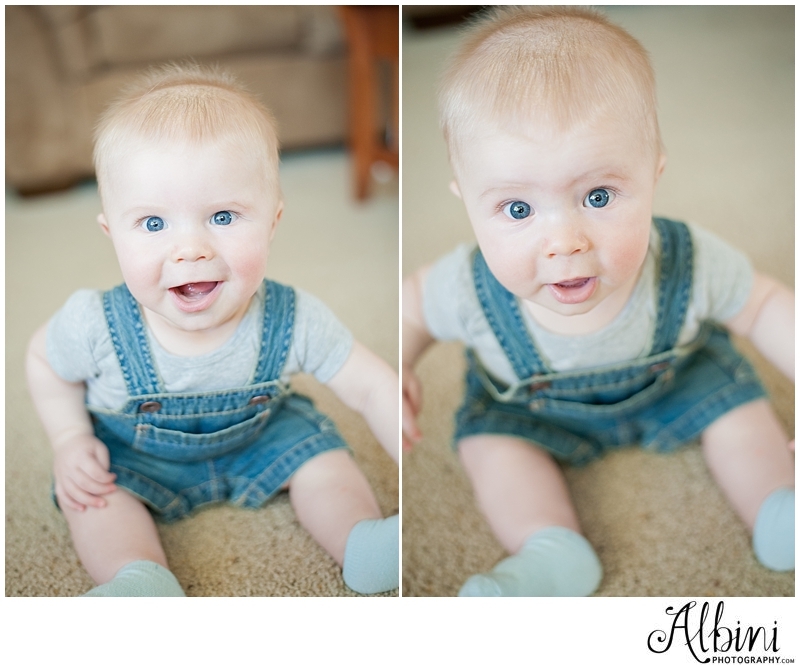 Anyways...I got some photos of this little boy sitting up yesterday! He topples over and does lots of face plants. When I was taking his photos yesterday he sat there for a good minute or two without falling over! 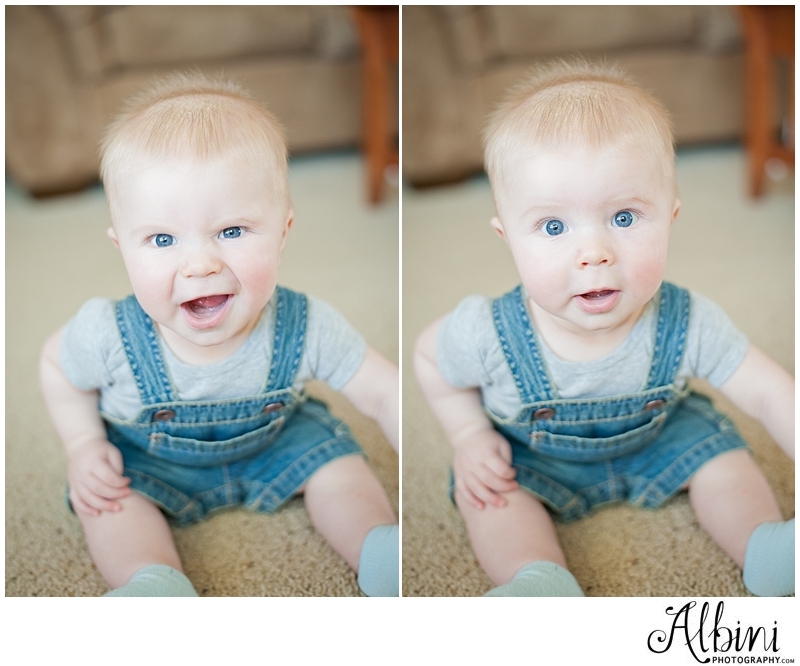 I did not enhance the color of his eyes at all...we have a blue-eyed babe!